Almost before the ink was dry, the state's largest nursery is protesting a rule floated by health regulators setting up the framework for Florida's new medical-marijuana industry. Miami-based Costa Farms filed a challenge Monday in the state Division of Administrative Hearings, questioning the proposed use of a lottery to pick five licensees --- one in each region of the state --- to grow, process and distribute the non-euphoric strains of cannabis legalized by the Legislature and Gov. Rick Scott this spring. The complaint contends the proposed rule is also invalid because of another component that restricts qualified nurseries to applying only once for a license but allows other entities that partner with nurseries to make multiple applications. "The way the rules are written today, essentially you have given out-of-state actors multiple bites of the apple whereas the nurseries that are the ones that are prescribed in the bill as being the sole obligants only have one shot at it," Costa Farms Vice President Peter Freyre told The News Service of Florida in an interview Monday. The challenge argues that Florida's new law approving strains of marijuana low in euphoria-inducing tetrahydrocannabinol, or THC, and high in cannabadiol, or CBD, did not authorize the Department of Health to use a lottery to grant the licenses. The complaint also accuses the agency of contradicting the Legislature's intent regarding who can get one of the highly sought-after licenses. Gov. Scott and the Florida Legislature earlier this year legalized a strain of non-euphoric marijuana. The complaint accuses the agency of overreaching its authority with the rule, which was revised after the Legislature's Joint Administrative Procedures Committee questioned numerous other provisions. The committee plays a key role in overseeing state regulations. The use of the lottery and allowing out-of-state operators to apply multiple times --- and possibly win a statewide monopoly for the newly legalized pot --- is out of line with the Legislature's intent, according to the 49-page complaint. "If adopted, these proposed rules operating together would give non-qualified participants the incentive to partner with or support many marginally qualified nursery applicants, diminishing the overall quality of the applicant pool, and increasing the likelihood of selecting a minimally qualified applicant in the random selection," the lawsuit reads. The agency last Tuesday published a revised rule, starting what was expected to be a 56-day countdown until interested parties could apply. Monday's challenge does not necessarily mean the regulations won't be online by the Jan. 1 deadline established by lawmakers, said Rep. Matt Gaetz, a Fort Walton Beach Republican who helped shepherd the bill to passage. The complaint also challenges the rule's requirement that applicants document their financial ability to maintain operation for two years, saying the rule is too vague on the matter and could open the door to rogue operators. Lawyers for Costa "raised some legitimate issues," especially regarding applicants' financial health, Gaetz said in a telephone interview Monday, saying he wished the nursery would have pursued an informal process to clarify the rule. "I would have preferred to resolve these questions without a lawsuit to invalidate the rule. But I think Costa has raised some legitimate questions. My main hope is that these legal tactics do not delay access for Floridians in need," Gaetz, an attorney, said. Lawyers for Costa allege that the rule is "vague," "arbitrary or capricious" and "imposes regulatory costs on the regulated person, county or city which could be reduced by the adoption of less costly alternatives." Licensees should be selected based on applicants' ability to provide a high-quality product, they wrote in the filing. "This is imperative because selected applicants will be responsible to dispense prescribed medication, with greater risk of public injury if the selection process is not properly carried out," attorneys Stephen Turner and David Miller wrote. Under the law, applicants are required to have a valid registration from the Department of Agriculture and Consumer Services to cultivate more than 400,000 plants, be operated by a nurseryman as defined by state law and have operated as a registered nursery in the state for at least 30 continuous years. At least 60 nurseries meet the criteria. 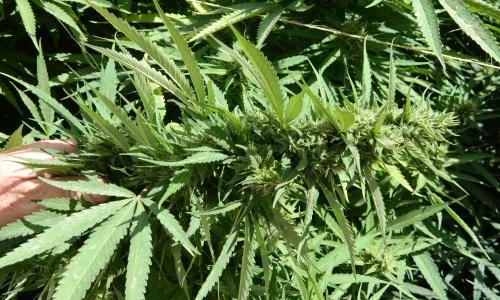 During floor debate about the legislation, lawmakers said the nursery requirements were intended to ensure that large growers with a long history in Florida were entrusted with the licenses. A group of Florida mothers is rallying to legalize marijuana -- for their kids. They call themselves the CannaMoms, and they share their experiences at conventions and in front of legislative committees. They want to spread the word that Charlotte’s Web is limited in what it can do. Jacel Delgadillo witnesses her 3-year-old son, Bruno, sometimes having up to 300 seizures a day. He has Dravet syndrome, a severe form of epilepsy. Elections officials certified on Friday, Jan. 24, that the campaign to legalize medical marijuana in Florida collected enough qualified signatures to put the proposed amendment on this November's ballot. Campaign manager Ben Pollara says his organization, United We Care, gathered more than 1 million signatures to come up with the 683,149 needed to win a ballot spot. He is now starting to fundraise for what he says will be an expensive and difficult campaign. What Do South Florida Doctors Think About Legalizing Pot? The state Supreme Court heard arguments Thursday for and against legalizing medical marijuana. Their decision will determine whether a proposed state constitutional amendment will get on the ballot next November. If the amendment is approved, it would allow doctors to prescribe pot under Florida law. It would also allow registered, regulated marijuana businesses to cultivate, transport, and sell the drug. The Cannabis Career Institute (CCI) held a day-long seminar last weekend in Miami with the goal to train businesspeople on establishing legitimate, legal cannabis businesses. According to the CCI's president Bob Calkin, entrepreneurs need to be ready if medical marijuana use is approved by voters in November. The Florida Supreme Court has approved the ballot language for the legalization of medical marijuana. In a four-three decision the court decided that the ballot's wording does not mislead the public, like Attorney General Pam Bondi had argued. Ben Pollara, manager of the United We Care campaign that gathered the signatures needed for the amendment to get on the ballot, called this a "historic day for Florida." Earth Learning, a Miami-based sustainability group which focuses on food and agriculture, hosted the third annual Greater Everglades Community Food Summit, which ended last week. The summit included a tour of local farms and gardens. The farm tour visited Frank Macaluso's Kendall home. Macaluso has turned his lawn, which sits on an approximately ¾-acre lot, into an edible garden. Health Care Pricing Is Complicated. Here's A Beginner's Guide. And if health care pricing wasn’t convoluted enough, it’s hard to talk about it without running into some conversation-stopping jargon. Words that mean one thing to the rest of the English-speaking world can mean something completely different in health care — like a “charge” that isn’t the same as the price. In our Power of Price series, we’ve been exploring how the secrecy shrouding health care pricing can raise costs — the cost of the care itself and the cost to employees who get their insurance through work. These databases track what actually gets paid for care at different hospitals by various insurers. They can be used to analyze the true cost of health care and make it public.